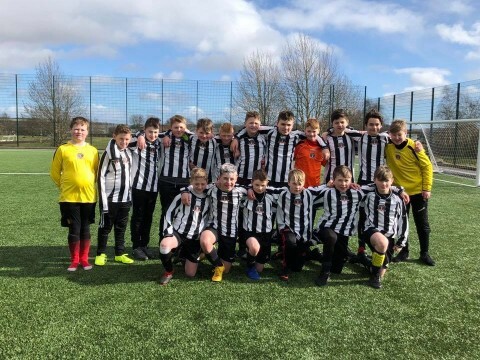 The U13 Boys Football Team had a very successful day in the first round of the Concept 7’s Tournament at the Garioch Sports Centre in Inverurie. They had two teams competing in separate groups against Ellon, Portlethen, Mintlaw and Kemnay Academy. Both teams played excellent throughout and won both groups whilst remaining undefeated. Goal scorers for Fraserburgh A were: Dylan (2), Gabriel (2), Cameron, Lyall, Charlie and Marc. A magnificent day for all and thank you to the parents and coaches who supported on the day. More information to follow about the next round.